As a homeschool mom of over twenty years, Leah Simpson is an organized whirlwind of activity. She provides training not only for her five children, but advises other homeschool families as well. In college Leah earned a degree in public speaking. Before children she held positions in education, broadcast sales, and local government. As children arrived, Leah put her life skills to work in teaching her own children. While some may approach home schooling as a part time endeavor, Leah is quite the opposite. She uses her organizational skills to run a well-oiled educational machine in her own home. Leading a field trip group for six years, serving as a director for Classical Conversations Foundations for seven years, teaching IEW (Institute for Excellence in Writing) classes for ten years, organizing and co-teaching Omnibus for six years offered front row experience in nurturing today’s youth. While excellence in academics governs many of her decisions, cultivating her children’s personal relationship with God dominates her planning. As a second generation homeschooler she mimics many of the profitable experiences of her childhood. With five children whose ages range from 16-25 years old, she schools with both traditional and classical concepts. Ideas in this blog vary from how to occupy preschoolers while schooling their older siblings, car school, customized education plans for each child, organizing the house cleaning, to Legos and knitting during reading time. 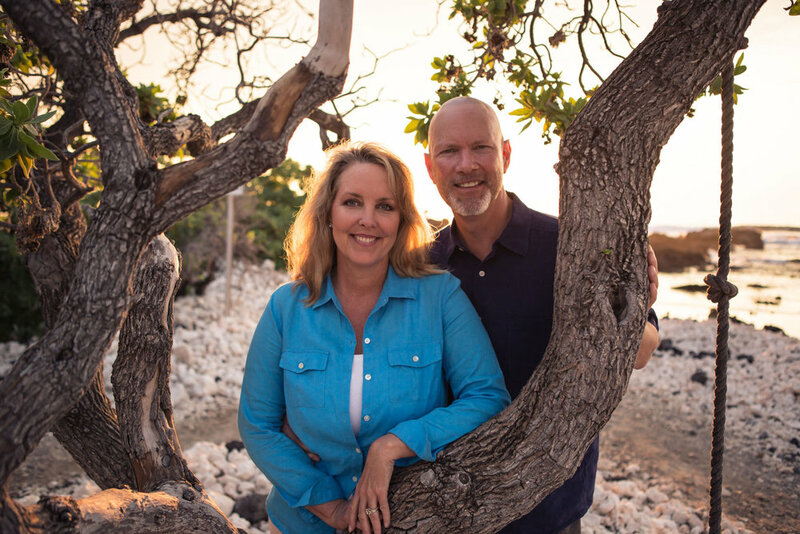 Passionate to share the gospel with many unreached people, Leah’s parents, Bob & Aloha Vance, traveled to the West Indies. Since this island offered no formal schools, Leah’s mom tutored or home schooled her children. A private school back in the United States graciously provided each year of curriculum as needed. Later her family resided in the United States. Although she attended a private school while in the U.S., her time on the mission field allowed her to benefit from personalized schooling. Long before the word “homeschool” was coined, she profited from a customized approach to her education. Although she experienced private, public and home schooling…. She favored her experiences as a homeschooler. Some advantages included extra time to indulge in reading, photography, music opportunities, volunteering and lots of swimming in the islands she called home. With five children who have home schooled throughout their academic years, Leah searches for the best material for each student. In her pursuit of excellence for her children, she has successfully launched three homeschool groups. If you can dream it, you can build it. Custom built education for her own children with an emphasis on growing in their spiritual life solidifies an outstanding array of learning and training options. All of her children achieve academically as she seeks to select education that develops their strengths and improves trouble areas. Her first child earned a 33ACT and a Provost scholarship for college giving credence to a solid educational outcome from a homeschool lifestyle. AWANA is an Bible memory program that implements game time, stories, and Bible memory to achieve Biblical literacy. This 75 year old global program originated in Chicago for the love of the children. Leah graduated from 10 years of AWANA as a child. As an adult she has served for 20 years as a director, leader and conference speaker. Along with a friend, she initiated an Awana club of 200. Each of her children have completed ten years of memorizing Awana verses and catechism while enjoying serious fun and camaraderie. A field trip group of 20 families was started by Leah as she embarked on homeschooling years ago. This collection of like-minded mamas with same-aged little ones met to select their intended field trips for the school year. Each mom selected a fair share of field trips to organize. This group fulfilled the basic needs of networking and fun while providing hands-on educational experiences. Empowered by Bible memory work in Awana, a glance at the academic work in CC impressed Leah to move with her friends into this new adventure. Creating a fast pace environment for learning in eight subjects, CC of Memphis launched with 32 students and 12 families. Leah brought the first CC to Tennessee. Currently, numerous communities thrive. Over seven years, countless students mastered 24 weeks of material in eight subjects. Her own children found their future studies much easier because they already knew the grammar of their academic material. This CC community continues today with success. Sensing a need for more college prep classes, Leah and a friend launched a tutorial with classes for 6-12th graders. These classes offered academic excellence in all subjects. With tutors who represent mastery in their fields, MHT offered high caliber education to college bound students to compliment their work at home. Numerous women’s groups have invited Leah to speak for events. Whether an evening or day-long affair, Leah offers quality and substance. Subjects such as Intentional Homebuilding, Hospitality, The Whole Child, Save Room for Dessert, Finding JOY, The Value of MOM, Saving Money Without Scissors interest a wide variety of women. Leah’s strong sense of frugality, loyalty, and lifelong love of the Lord inspire women of all ages.